It’s breakfast for happy hour with Stone’s latest, a limited edition beer that was previous bottled as a pilot project called Gallagher’s After Dinner Stout. 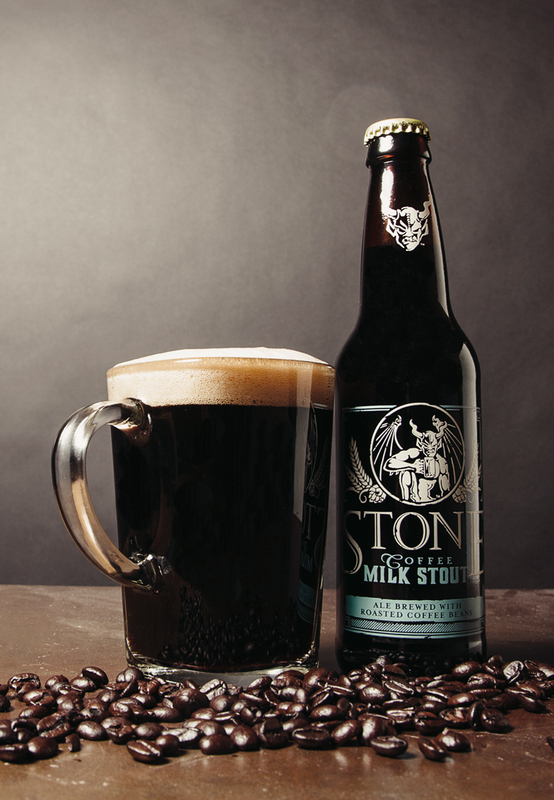 Stone tinkered and reformulated Brian Gallagher’s brew to bring it to the masses, and here it is, a stout brewed with milk sugar lactose and coffee beans from San Diego’s Ryan Bros. Magnum hops and mild ale malt are the other primary components of the beer. It’s a gentler expression of stout, made creamy, slightly sweet, and studded with ample (but not overwhelming) coffee bean character. The name is apt. If you take your coffee with plenty of milk and sugar in order to knock the bitterness of the coffee back, this beer’s for you, balancing a sweetness up front with stronger coffee and hops notes in the back. As it warms up and develops in the glass and on the palate, some interesting licorice notes emerge in the back of the mouth. All told this is not a style of beer I gravitate to in general, but in this format I find it easy enough to enjoy as these days start to chill down.